NASA has been responsible for developing a lot of things other than spacecrafts, including memory foam, scratch resistant glasses and insulin pumps and now the agency is looking to fuel the future of aviation using green technology. With the launch of its New Aviation Horizons initiative, NASA is looking to develop a new generation of X-Planes over the course of the next ten years. NASA’s famed X-Planes have already set some milestones in the past. The X-1 broke the sound barrier in October 1947. Others have set records such as being the first planes to fly at altitudes in excess of 30,000, 60,000, and 90,000m and to fly three, four, five, and six times the speed of sound. So this time around NASA is hoping to achieve the same level of success in promoting the use of green technology in aviation. Efforts will go a long way towards lowering or eradicating the use of fossil fuels, something the world’s air fleets rely heavily on right now, which will help reduce global carbon emissions. It’s not going to be a quick process though. NASA has said it expects the design and building process of its first new X-Plane to take several years. The company looking after that is Lockheed Martin, which won the $20 million contract in February of this year. 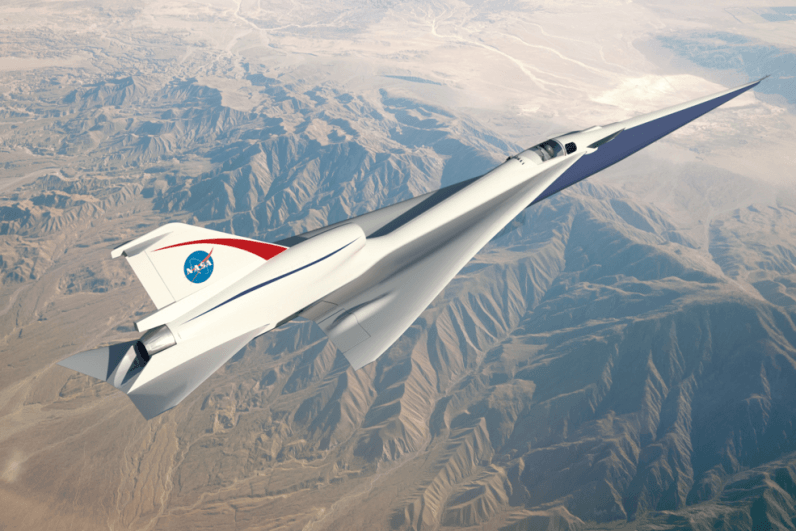 The team will now work to create the preliminary designs for NASA’s Quiet Supersonic Technolofy (QueSST) ahead of the first flight that’s set to go in 2020 (all going well). The aim of QueSST is to rid the X-Planes (and the public) of the annoying sonic boom you hear as they break the sound barrier. NASA has already helped to bring countless innovations to the aviation industry so this project is no different and will hopefully see us flying in faster and more eco-friendly jets in the future.